Traditionally, artist paintbrushes have been made from animal hair. Today the options for brushes are wider than ever before and many of the choices include synthetic brushes. What most beginner artists want to know is whether they are as good to use for acrylic painting as natural mink or hog hair brushes. While natural hair brushes are just about a requirement for oil painting because of the medium itself, the truth is that for acrylics they are not 100 percent necessary. 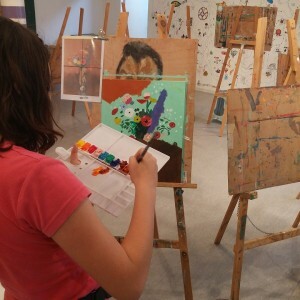 Acrylics are comprised of resins that respond well to synthetic brushes. Synthetics are usually made of nylon or polyester and they are not all bad. In fact, synthetics not only work well with acrylics they are easier to clean than real hair brushes are. They also cost less. If you are exploring acrylics for the first time or you just want to see if this medium is right for you, you may want to invest in a less expensive set of acrylic brushes. Just don’t buy the cheapest brushes you can find such as those that are often sold at discount or dollar stores. You don’t want strands of synthetic bristles coming off the brush and onto your painting! These may work fine for a child’s painting but if you want to complete a quality piece, you need quality brushes. Synthetic brushes also do well when placed in water to sit as you work on another part of your painting. They are also more durable when it comes to standing up to acrylics. Natural bristle brushes can often become damaged by oil paints. You might want to leave them alone until you master your acrylic talents. Or, you might just want to leave them alone altogether. Then again, each artist has his or her own feel for what they are doing. You may find that using one a natural bristle brush gives your painting a better effect than the synthetics do. Natural hair brushes tend to hold their shape better than synthetics. However, you do need to be diligent about cleaning the brushes off after painting so that they last. Also, do not use the natural brushes right after using them for oil painting or it could repel the acrylic paints. 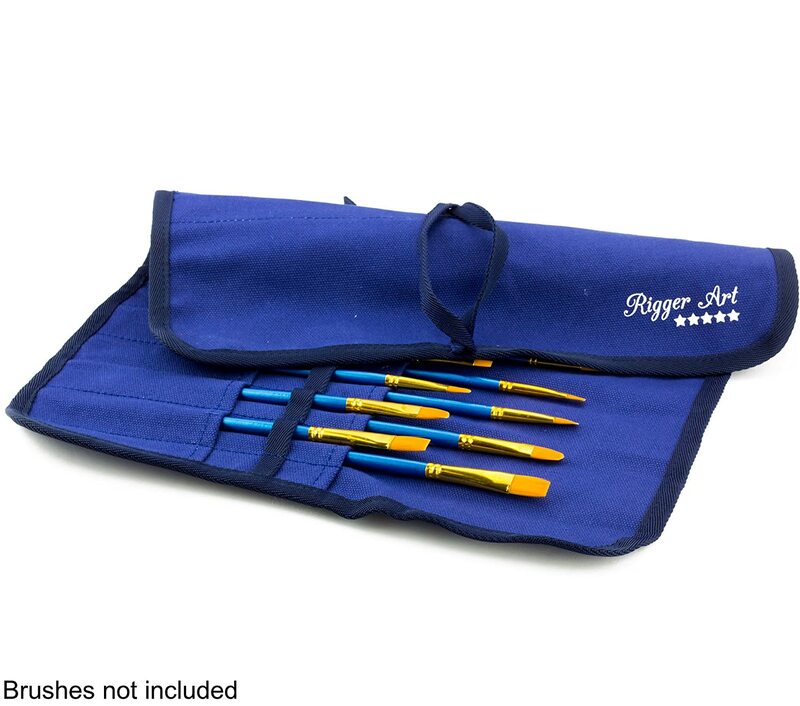 Painters bundle kit – Including brushes, folding palette tray, and carry mesh bag for art stuff. While it is really up to you as an artist which type you choose to use, synthetic brushes are always an excellent option. 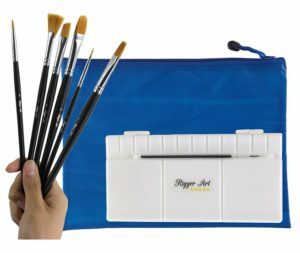 You can begin your watercolor journey by getting the professional brushes with the watercolor palette and the carry on mesh bag, this is a painters bundle kit now for sale on Amazon. This entry was posted in Painting Brushes and tagged Acrylic Brushes, Paintbrushes Set, painting brushes, Rigger Art Brushes, watercolor brushes, Watercolor Paintbrush by RiggerArts. Bookmark the permalink.